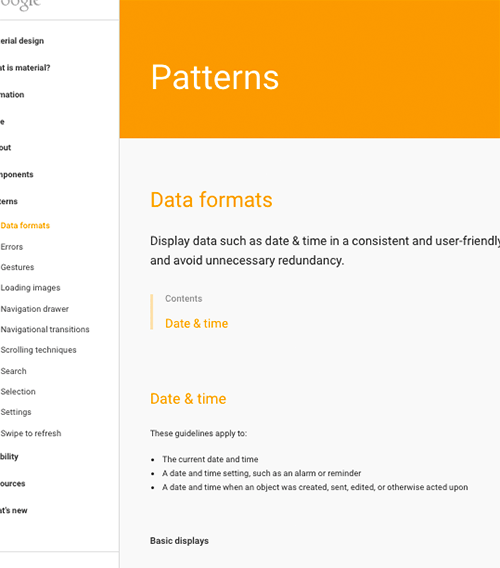 In 2014 I lead development efforts at Huge to release Google's public Material Design site. Over the course of four weeks our team followed an Agile process to create a modular template system for Google's Goro CMS. The resulting site was responsive across three breakpoints, contained a variety of UI components, and conformed to Google's strict security requirements. Please reach out to me with any comments or inquiries. I can also be found on Github and LinkedIn. All original content © 2015 Tim McDuffie unless otherwise noted.